... well, that's about to change with MemeToad, developed by a fellow Canadian +Mark Mruss. 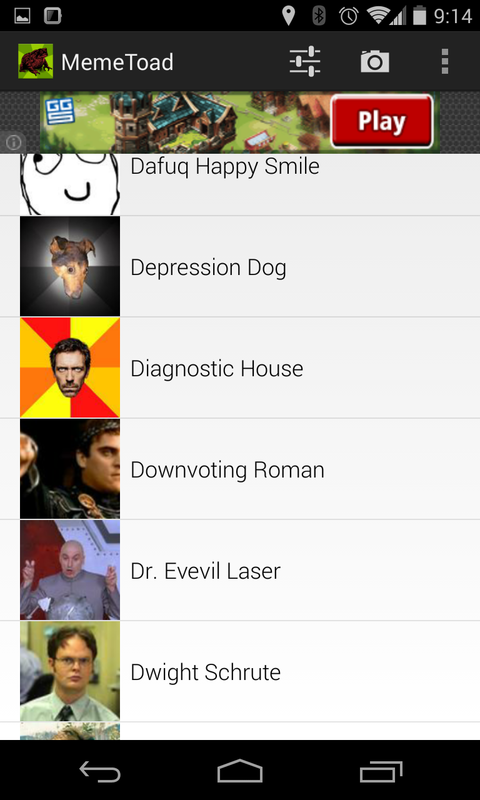 MemeToad is a simple meme generator for your device. 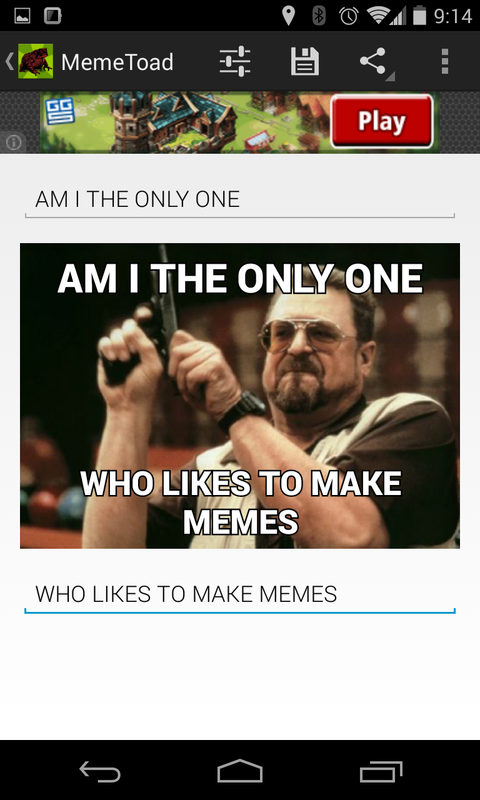 Pre-loaded with 140 memes already, you just select your scenario and type in your phrases. Plus, there's an option to even use your camera / gallery to use your own photos (keep in mind that they'll be just strictly that photo and not a cut out piece and pasted onto a glorious coloured background... we'll leave that to Photoshop). 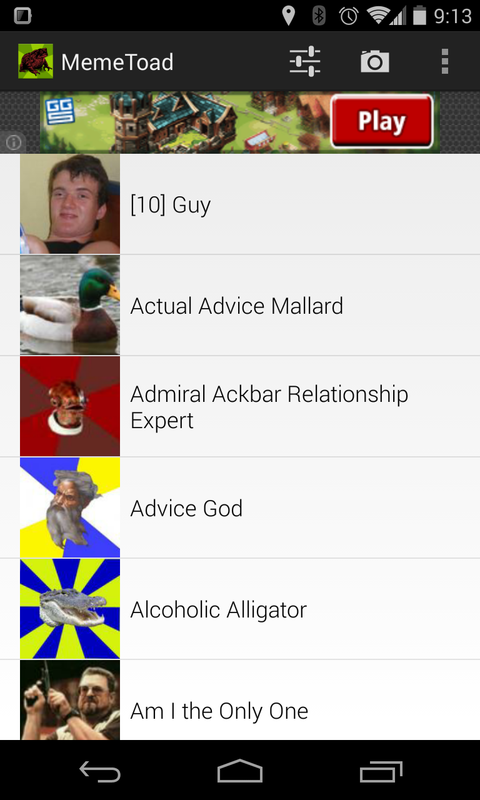 Lots of memes... I'm not even sure I can name what each scenario they're supposed to be for! Making them is pretty simple and straight forward... line 1 text, line 2 text. Save it to your gallery, or share straight form the app. 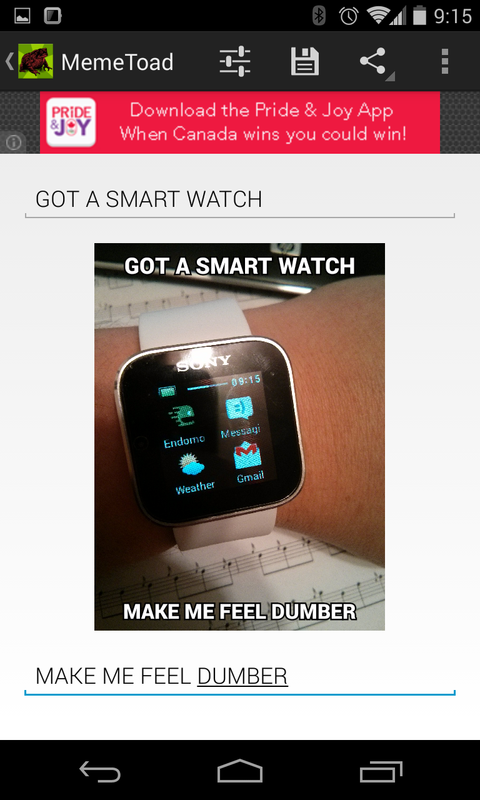 You can even change the font (I changed the above examples to Roboto, rather than IMPACT... I just like Roboto) and the colour of the font (if it's hard to read in that image). The text will automatically resize depending on how much you write, so no worrying about trying to figure out what size works and doesn't etc... less thinking, more humour. The above 2 are probably examples of why I don't make my own in the first place, but with MemeToad it gives me the tools to dip my toes in the water and get going and improve my craft. There's the free version (which you see me using above) which has ads, but for $1.50 you can have the ad free version. Why not help a Canuck developer out and buy it. I'm going to try to ensure I perfect my internetz-humour.